Move out or break the law. That's the ultimatum that was given to more than a dozen families in Redwood City earlier this summer after their apartment complex was sold to new owners. On Thursday, those families were celebrating after a new agreement was arranged with the developer, giving them a much needed reprieve. "When everyone gets together we build more power," resident Gabriel Banuelos said. Banuelos has spent the summer organizing for change. Get out now or break the law. 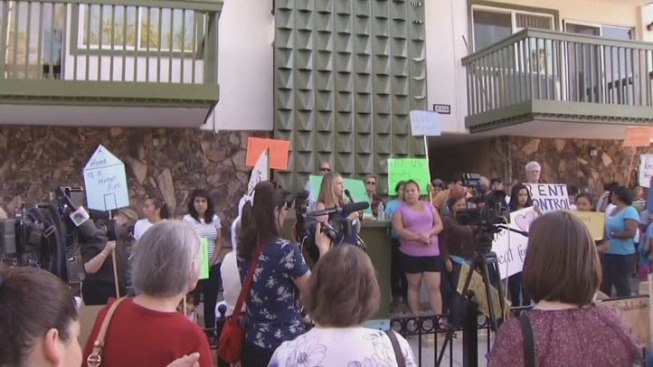 On Tuesday night those were the only options for several families fighting to stay in a Redwood City apartment complex. Michelle Roberts reports. "We need rent control," he said. At 14 years old, Banuelos has become the spokesperson for his family and neighbors at 910 Clinton in Redwood City. 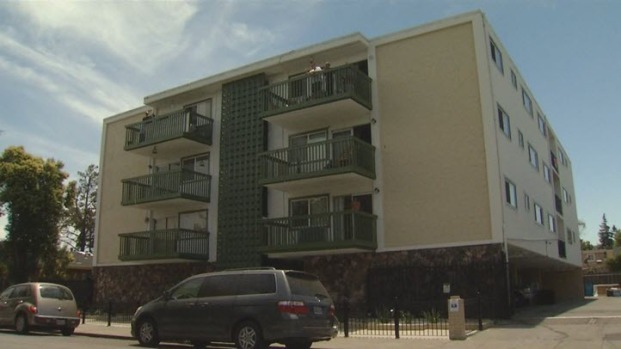 All 18 families living at the apartment complex previously received a notice to move out before June 30. The property management company plans to renovate the units and offer the apartments at market value. For residents like Linda Howell, that's like twice or three times what they could afford. "This is the worst thing I've ever gone through," Howell said. "It's the most emotional." Howell currently is on the wait list at more than a dozen senior care facilities. She is also hoping the phone rings with an opening. 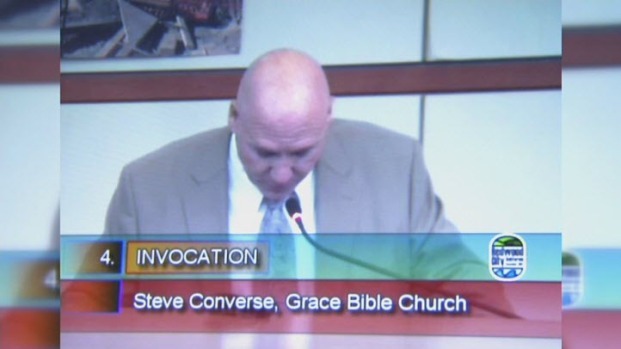 Redwood City has temporarily suspended invocations at city council meetings. Jean Elle reports. "All I've wanted is more time," Howell said. And now she has it. FPI Management has made a deal with the eight families still living in the building. The families can live rent free until Oct. 12, when they must move out. The families will receive relocation compensation and their full deposit will be returned. "That could be our starting point to start saving some money," Banuelos said. Banuelos and his family are still looking for an affordable place to live, but he calls his summer project a win for low-income families. "We want every family in Redwood City and in the Peninsula to get together in their community and fight this," Banuelos said.